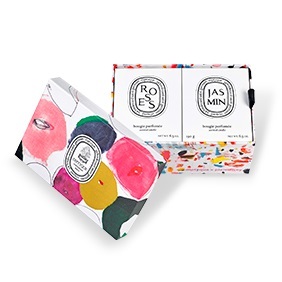 diptyque's creativity focuses on pleasing the senses through a constant interplay of colors, patterns, and scents. 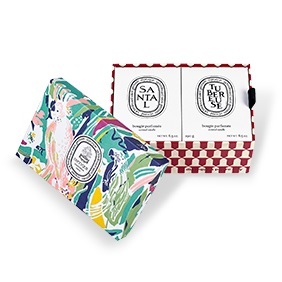 Illustrating this principle is diptyque's latest collaboration with Maison Pierre Frey, the storied French fabric and wallpaper house steeped in over a century of traditional craftsmanship. 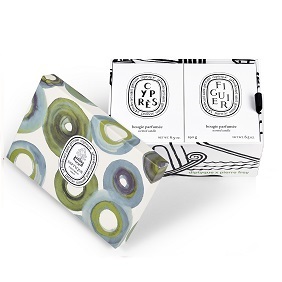 diptyque chose fabrics and prints from their collection to illuminate the olfactory world of each candle. 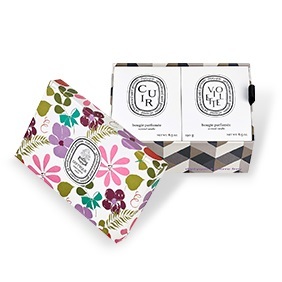 diptyque's creativity focuses on pleasing the senses through a constant interplay of colors, patterns, and scents. Illustrating this principle is diptyque's latest collaboration with Maison Pierre Frey, the storied French fabric and wallpaper house steeped in over a century of traditional craftsmanship.